Bitcoin missed a bull breakout by a whisker, as prices backed off from a six-day high of $6,826 hit earlier today. BTC’s persistent defense of $6,000 over the last three months has convinced many, including billionaire investor Novogratz, that the leading cryptocurrency has bottomed out around that level (February low). However, a bullish breakout would be confirmed only after the cryptocurrency has found acceptance above the top edge of the three-month-long narrowing price range. Crossing that key price hurdle is proving a tough task for the bulls, though. 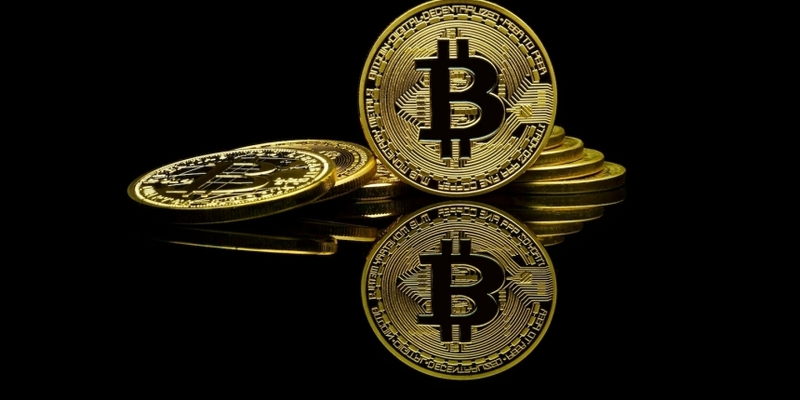 For instance, BTC was solidly bid in early European hours, but the bullish momentum ran out of steam as prices neared the upper end of the narrowing price range, currently located at $6,870. As a result, a definitive breakout remains elusive. At press time, BTC is changing hands at $6,645 on Bitfinex, representing a 2.5 percent gain on a 24-hour basis. On the weekly chart, the area around $6,000 (February low) has repeatedly capped the downside in BTC, which indicates that sellers have likely run dry, having pushed the cryptocurrency down by 70 percent from its record high of $20,000 hit in December. As seen in the above chart, BTC has formed a large narrowing price range pattern known as a pennant, over the last three months. A UTC close above the pennant hurdle of $6,870 would signal a bearish-to-bullish trend change. More importantly, the ensuing bullish move could be a rapid one as a prolonged period of range-bound trading is often followed by a big spike in volatility, according to technical theory. A pennant breakout, if confirmed, would validate the argument that cryptocurrency has carved out a long-term bottom around $6,000 and would open up upside toward May highs above $8,500. The outlook remains neutral while BTC is trapped inside the narrowing price range. A downside break of the pennant pattern will likely embolden the bears and allow re-test of the June low of $5,755.